Atlas Sound has become the largest commercial audio provider spanning small businesses to the largest enterprises while Innovative Electronic Designs (IED) has been known as the leader in mass notification systems in airports, corporations, and government institutions. For 80+ years, both companies have been installed in more than one million businesses. In 2009, Atlas Sound and IED became sister companies operating independently with combined oversight at the executive management level. As technologies continued to integrate together, both organizations united forces. In 2015, Atlas Sound and IED combined our sales, marketing, and support teams. 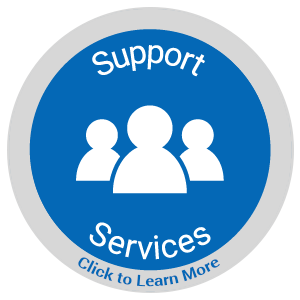 Today, AtlasIED provides better service to you and the various market segments that we serve. We are a global electronics manufacturer providing comprehensive audio solutions for commercial business environments. We save organizations time and money with effective use of audio communication systems, while also helping to maintain a safe work environment. This is accomplished with our industry-leading mass notification, life safety, VoIP and speech privacy systems. Our technologies seamlessly interface and integrate into existing and future analog and IT-based infrastructures. Our systems are used by the largest enterprise businesses such as Fortune 1000 companies, schools, universities, manufacturing plants, public transportation hubs, sports arenas, hospitals, hotels, and large retail chain stores. We also work in smaller businesses like your local coffee shop, bar, restaurant, and house of worship. At AtlasIED, we care about every business size and we want each of them to not only survive - we want them to thrive. We offer 2,000 specialized audio products and 80 years of manufacturing excellence. 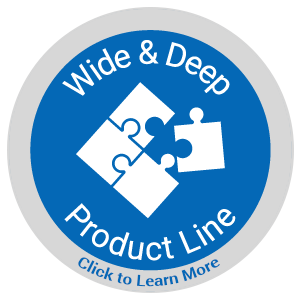 This is the widest and deepest product portfolio in the commercial audio industry. 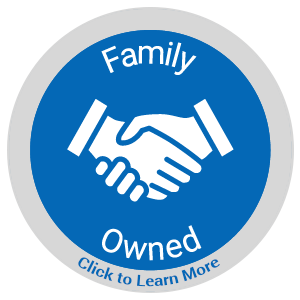 A true one-source provider that fits your exact business needs. Our dedicated sales and support experts make the process easy. 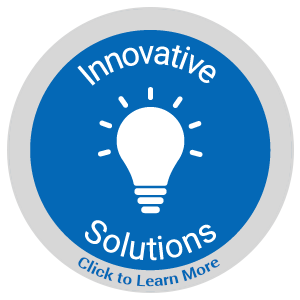 We help to perfectly match your individual business needs with our solutions. Our end goal is making your business environment more efficient, productive, and safe, while improving the overall work life environment for your customers and staff. 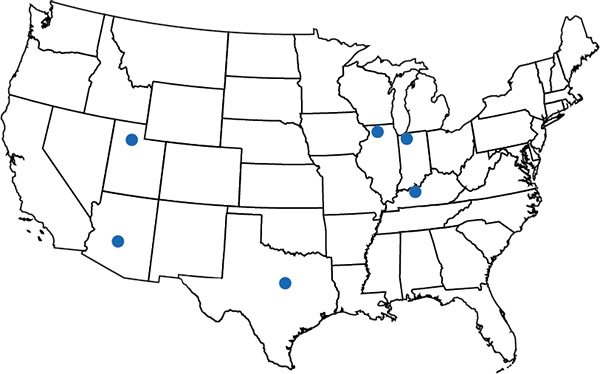 With six locations across the United States housing engineering, manufacturing, sales, marketing, administration, and shipping facilities, AtlasIED is positioned to continually innovate and improve our customer experience by providing the right products at the right price at the right time. Additionally, AtlasIED has facilities in Bangkok, Thailand serving Southeast Asia and Oceania and Paris, France serving the European market as well as a qualified team of engineers and inspectors in China. This worldwide team works tirelessly to be the best and easiest company to do business with in the commercial audio world. Atlas Sound and Innovative Electronic Designs is a family owned company employing the hundreds of "partners" in facilities in Illinois, Wisconsin, Arizona, Kentucky, Texas, Utah, Indiana, and around the world. As strong advocates for the industry's growth and sustainability, AtlasIED supports organizations like InfoComm, the National Systems Contractor Association, and SynAudCon. Our AtlasIED Rules reinforce our dedication to serving our customers today, tomorrow, and beyond. If working for a family owned company that sells commercial and consumer products across multiple industries sounds interesting to you and if you think you have what it takes to join our team click the link below and send us your resume.